Just like the big girls wear! Versatile and economical, the adjustable strap camisole is a best seller. Enjoy your ideal fit and style as straps can be adjusted for length as well as transitioned into a criss cross or halter style. All Team Basics are sturdy, colorfast, double stitched, with nice stretch and comfort so you know you are getting quality. 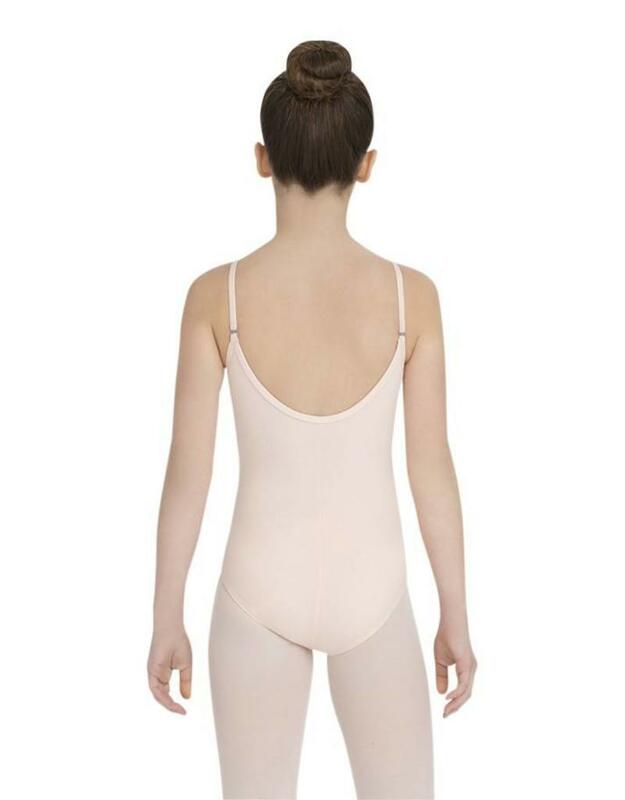 With its many color offerings including various skin tones, it is used both as a leotard and undergarment.